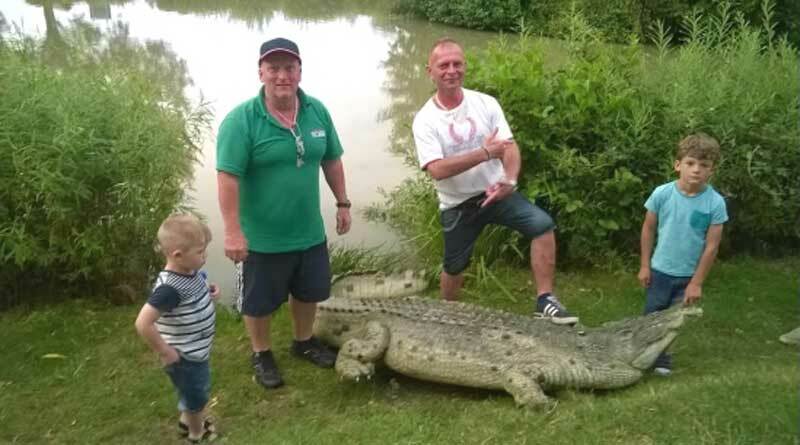 A 5ft (1.5m) crocodile spotted in the lake of a Somerset tourist resort has been identified as a fibreglass fake. A conservation team was called after several guests reported seeing eyes and a snout sticking out of the fishing lake at Holiday Resort Unity in Brean. Resort owner Alan House said: "It's made of fibreglass and had taken on a lot of water, so it had sunk down and looked really lifelike." The crocodile was returned to its rightful home at Congo Adventure Golf. Staff at the holiday park started receiving calls from worried tourists at around 9:00am on Friday. Mr House said: "We were obviously very shocked, but thought 'no way'. But, to the shock of the team, when they went to investigate they could see the head of a crocodile in the lake and it looked really lifelike - just like a real crocodile." It was only after the team "prodded it with a piece of wood and heard a thud" that they realised it had been taken from the nearby crazy golf course. "It's 600 metres, nearly half a mile away, so whoever took it had to carry it," said Mr House. "It must have taken a great deal of effort to have pulled it off, but it was a good prank."